You’ll never have to compromise adventure for style when you have the option of driving a brand-new Jeep Grand Cherokee. Designed for those who don’t want to sacrifice practicality for fun, the latest Grand Cherokee can easily maneuver through busy city traffic while giving you the option to hit the roads less traveled whenever you like. Looking for a Grand Cherokee near Lloydminster? Visit Bonnyville Dodge! You can jump into a brand new or previously owned Grand Cherokee today when you stop by Bonnyville Dodge. Our team will be able to assist you with your purchase by answering all your questions, easing any concerns you may have, and can even take you for a test drive! 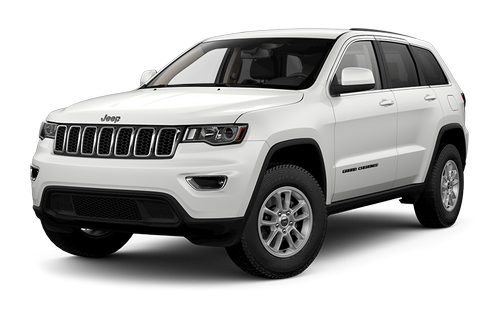 We have a wide selection of Jeep Grand Cherokee models, so the choice is all yours! 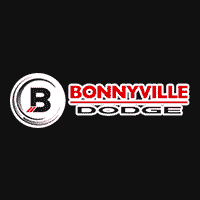 You’ll find Bonnyville Dodge located at 5605 50 Avenue in Bonnyville, AB. Our team of sales associates, financial advisors, and service technicians are here on hand to make the process of buying a new vehicle easy. For more information give us a call at 780-826-2999. We are proud to support many organizations near Lloydminster. Whoever said that beauty was only skin deep obviously hasn’t looked into the interior of the Grand Cherokee. You may not believe the interior of the latest Grand Cherokee would belong to a Jeep. It gives its driver confidence to show off with available leather seating, plenty of hidden storage, and convenient technologies at your fingertips. The cabin comfortably seats up to 5 people and the rear seats can be folded flat for more storage options. Bonnyville Dodge likes to give our customers as much selection as we can. This includes the option to buy pre-owned on many of our models, including the Grand Cherokee near Lloydminster. Buying a pre-owned vehicle from our dealership doesn’t come with the same reservations as buying online or directly from the owner. We’ll help steer you away from unwanted repairs and headaches by having our service team thoroughly inspect each pre-owned vehicle before it hits our sales lot. You can go off-road with confidence in the latest Grand Cherokee, thanks to upgraded technology that makes it easy to plan your trip. The 7-inch, full colour display displays vital information regarding safety, mileage, tire pressure, and more! This helps keep your eyes on the road and gives you a more accurate gauge of your vehicle’s features. You’ll also enjoy other smart safety technology like Lane Departure Warning, Forward Collision Warning, Advanced Brake Assist, and Parallel and Perpendicular Park Assist. The latest Grand Cherokee was rated best in class for its 4×4 capabilities. You’re given the option of 4 highly advanced 4×4 technologies including: Quadra-Trac 1, Quadra-Trac 2, Quadra Drive 2, and Quadra-Trac SRT active on demand. This includes the available Quadra-Lift air suspension system which uses air springs to help lift your vehicle for exceptional ground clearance and the confidence to help you take on any terrain. Your greatest adventure is around the corner! Get there in a Grand Cherokee near Lloydminster.